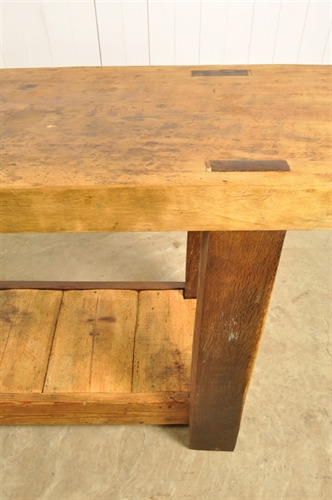 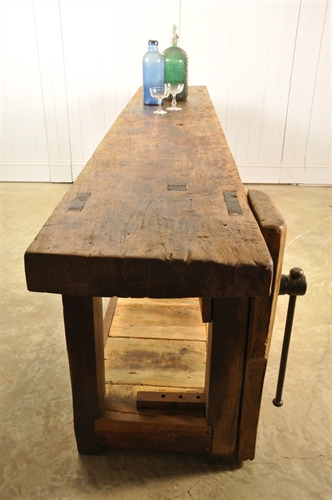 We love the clean lines of this 1920's French carpenters workbench. 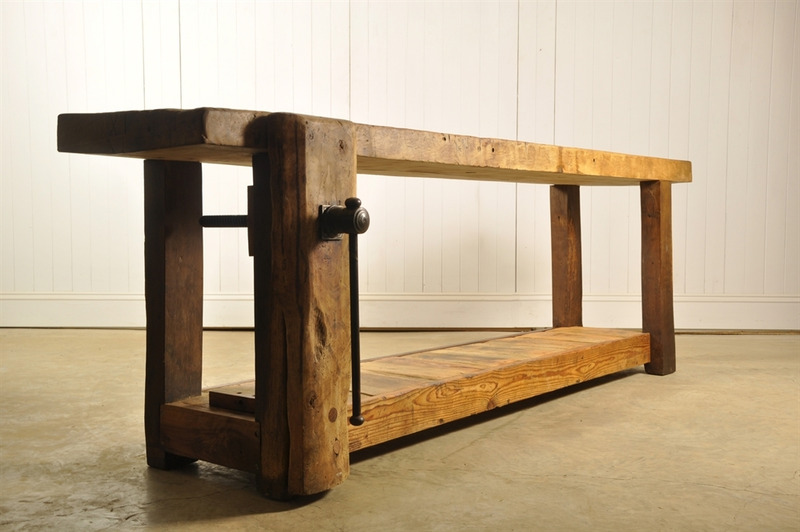 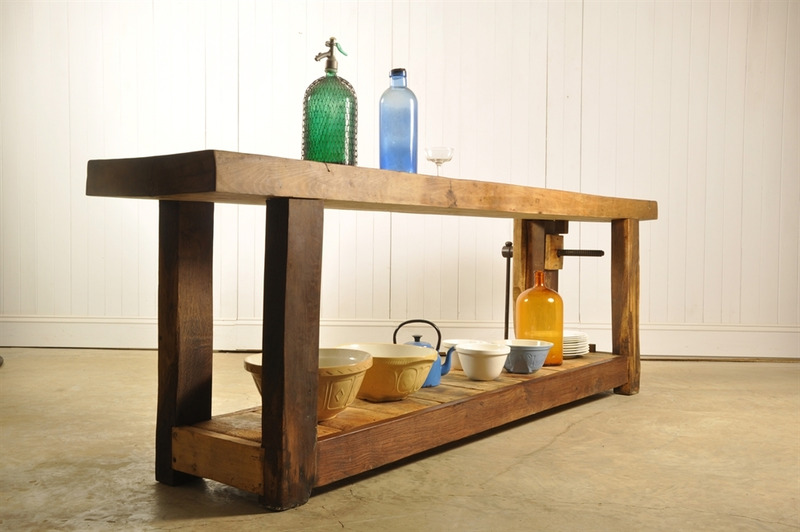 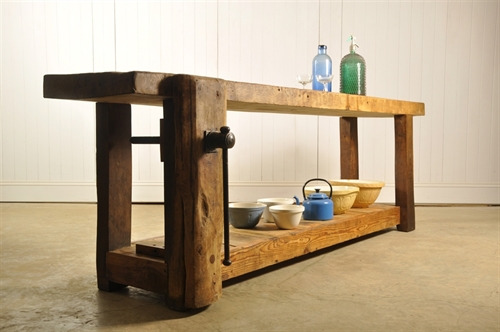 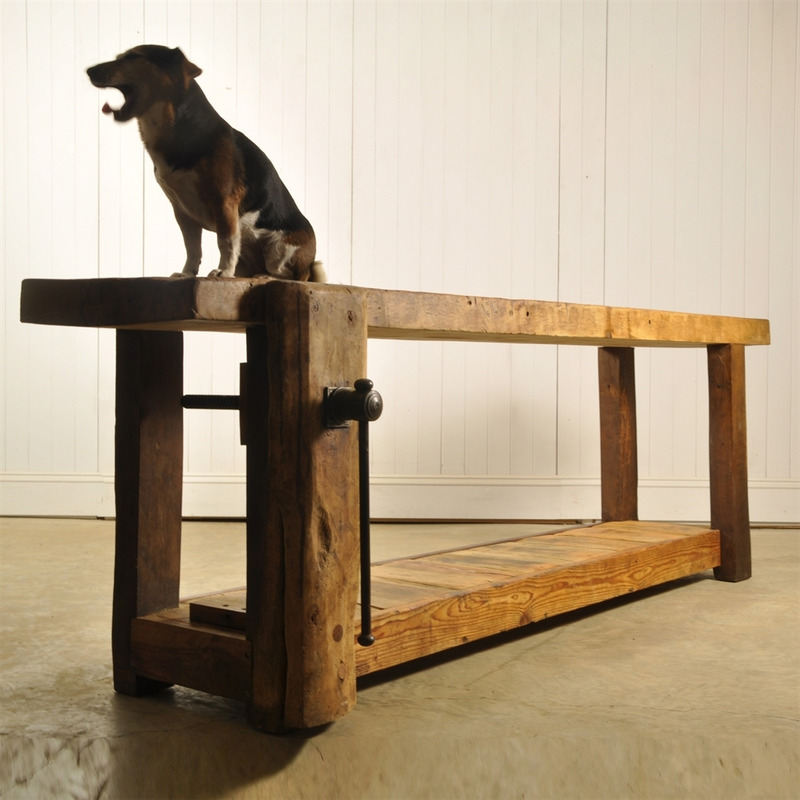 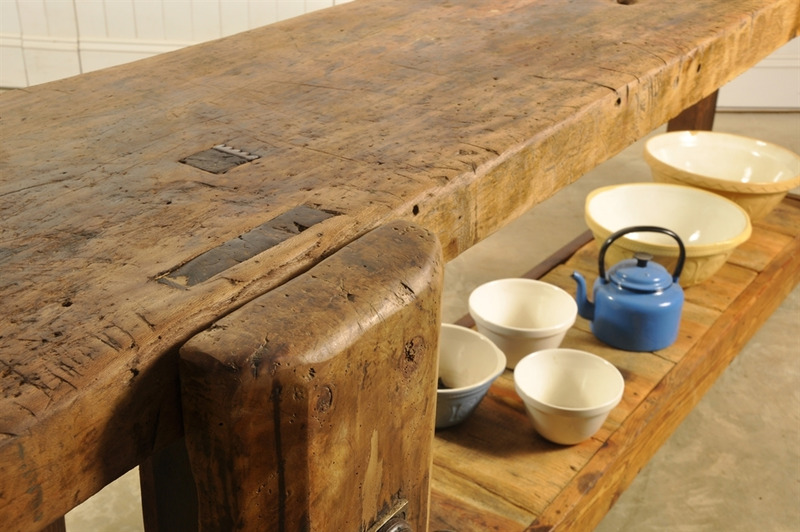 Made predominantly from oak with pine shelves it is a very good quality vintage industrial table. 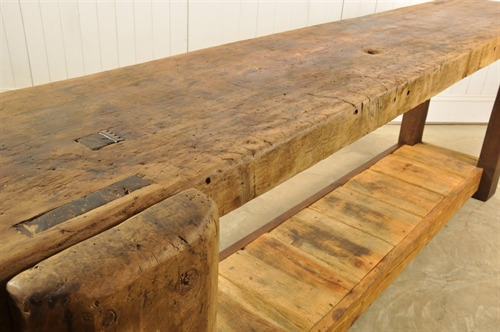 Along with a few saw marks, drill holes and a small amount of treated woodworm this chunky piece has picked up a fantastic colour and patina over the years. The top is one solid oak plank making this a pretty heavy piece. 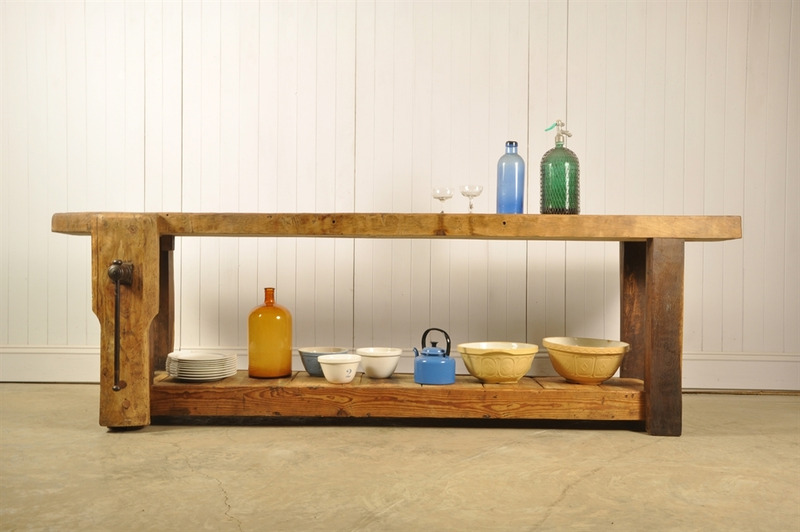 We love this contrasted in a crisp contemporary interior.